Please consider volunteering for a few shifts at KES’ upcoming Scholastic Book Fair in early March. “Preview Day” will be held on Friday, March 6th from 8:30 AM – 10:30 AM. 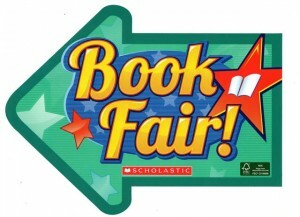 The actual “Book Fair” will run daily, Monday, March 9th through Friday, March 13th from 7:45 AM – 3:45 PM. While students will have the opportunity to shop during their special classes they can also return before and after school if needed. 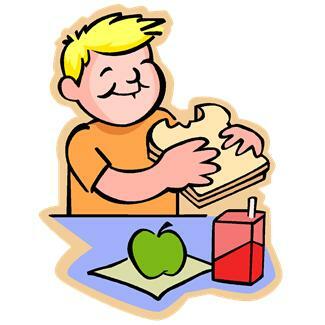 Parents will be able to shop with their children before school from 7:45 AM – 8:15 AM and after school from 3:15 PM – 3:45 PM. With plenty of volunteers to help children select books; the transition from classroom to book fair and back will go swiftly and smoothly. Your help also means students (and parents!) are more likely to be happy with their selections. Finally, for KES to keep accurate accounts, we will need enough volunteers to handle the large volume of orders for our entire student population. If you would like to be a PTO volunteer, be sure that the PTO has your email address so you can receive the SignUpGenius invitations and sign-up to volunteer at upcoming events. Please provide your email address to: Christina Cross, PTO Secretary at cqcesq@gmail.com. Who: Girls in second through third grade who are ready to learn about money and run their own business. 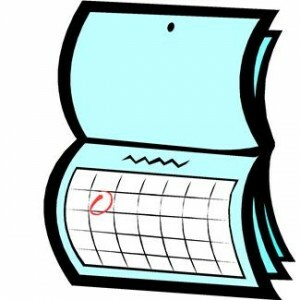 When: Meets weekly beginning Tuesday, February 23rd – April 13th for 8 weeks. Cost: $15 membership fee, financial assistance available. The 5th and 6th grade Valentine’s Day Dance was a hit and could not have happened without all the great parent volunteers who helped chaperone and provide snacks and refreshments. Special thanks to Brad Heckathorn for DJ-ing the event. A total of $771.05 was raised from the dance’s ticket and concession sales. Those proceeds were donated to Northwest Ohio Kidney Foundation in honor of Matthew Temple. The KES PTO has earned over $1600 through the Box Tops program this year. Our goal is to raise $3000! Look for the April newsletter update and don’t forget to clip, collect, and turn in Box Tops! 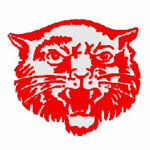 The Wildcat Store is an incentive program put in place by the KES PTO for the educators to use to reward students when they meet academic and behavioral expectations. Students will be able to earn “Wildcat Bucks” daily. They can earn up to $1.00 a day for behavior and $1.00 a day for reading. The last Friday of every month, students will be able to visit the Wildcat Store and spend their bucks however they would like. They may save up or spend monthly. March is National Kidney and KES would like to recognize one of our own this month to raise awareness and funding for Matthew’s Mission. Matthew Temple is in 5th grade at KES and was born with Chronic Kidney Disease (also known as CKD). This can be caused by many different things and means that your kidneys are not able to do their jobs as they should. This puts you at risk for problems like weak bones, trouble growing, anemia (not enough red blood cells), high blood pressure, and even heart disease. Matthew has been through lots of treatments, hospitalizations, and surgeries, including removal of his left kidney in 2008. He is considered stable at this time with continued follow up. Although he will have this disease for the rest of his life, it is unknown, what his future holds, it doesn’t stop from him wanting to help other kids with chronic diseases and disabilities. So, he came up with the idea of Matthew’s Mission. This is a program/group that will raise awareness and funding for other children in our area with diseases and disabilities. Starting March 1st – March 13th, we will be selling silicone orange bracelets that have “Matthew’s Mission” in white letters on them for $1 each. These can be purchased at lunch time for kids to wear during the month of March in support of National Kidney Month! The monies collected for the silicone bracelets will be donated to Matthew’s Mission in support of local children with chronic medical conditions. On Friday, March 13th, we are encouraging all students and staff to wear ORANGE for World Kidney Day! We will take group pictures this day for the newspaper as well. The 2014-2015 KES Robotics Club had 18 members this year. The club ran from October to February meeting only once a week for two hours after school. The 4 teams of combined 5th and 6th graders were selected for this club recently competed in a HIGHRISE challenge on February 17th at North Union Middle School. The KES teams placed 5th, 6th, 21st, and 22nd at that event. A huge thank you to both Quest Federal Credit Union and The Kenton Education Foundation. Without these two sponsors, we could not have been able to provide any of our students with this type of STEM after school experience.